How long is it since you setup the film projector? Wouldn't it be nice to see your old films again on a big screen? DVD Infinity can provide the solution. What makes us so special in cinefilm transfers? We were the first to scan 8mm, 9.5mm and 16mm film in the Southern Hemisphere and again the first company to scan in full High Definition with full colour separation.We bring over 15 years of experience and regularly transfer film going back to the 1920s, 30s and 40s. Each film frame is individually processed and digitally scanned at above broadcast quality one frame at a time using DVD Infinity's unique motion picture film scanning technology. 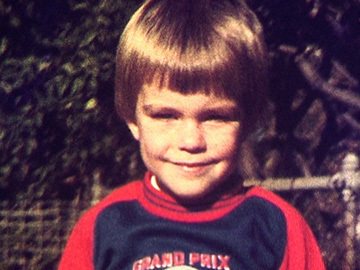 We are also the only company in Australia to offer optional digital film restoration that significantly reduces dust, scratches and other single frame blemishes whilst also enhancing colour, contrast, detail and reducing film grain. We take care and pay attention to detail. We cut out the stuff that nobody wants to keep; burnt frames, black or white frames, bad joins, excessive camera shake etc. all so as to make your film more watchable (please note we do not judge your film technique and always err on the side of leaving footage in where viewable). Our customers often comment that it looks so much better on a DVD than it ever did through the projector. This is not your ordinary transfer. DVD Infinity's unique state of the art enhancement provides a much higher quality transfer from your cinefilm than any other transfer system on the planet. Our customers normally comment that it looks so much better on the DVD or Blu-ray than it ever did through the projector. In an article by Australian MacWorld, DVD Infinity was ranked No. 1 for cinefilm transfers, receiving the accolade of Best Solution Provider. The broadcast industry used to pay hundreds of dollars per minute for a lesser quality (flying spot technology such as Rank Cintel) not so long ago. We now offer this quantum leap in quality to those wishing to transfer their home movies. Nobody else comes close to our quality. Again, this is NOT your normal low quality film transfer such as "Direct from film to DVD" transfer, "digital optical printing", "re-shoot" transfer, Elmo, Goko, Tobin, RCA TP66, CineTranzPro, aerial transfer, telecine or projector based transfer. Using these techniques, it is not possible to come anywhere close to our extremely high quality. If you have had your film transferred elsewhere in the past and are not happy with the results, come and see us. In particular if you had your film transferred to VHS tape 20 years ago bring us the film and let our modern technology bring out its best. Customers who do this are always thrilled with our results. The footage below demonstrates how DVD Infinity’s high quality processing stacks up against a typical competitor transfer. 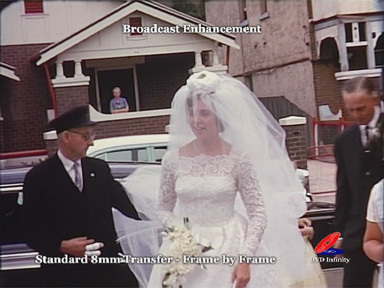 This example shows our standard definition frame to frame transfer including our unique enhancement option, compared to a so called high definition transfer done elsewhere. For comparison purposes the motion looks faster than normal as it was captured frame to frame at 18fps. We can slow it down to normal speed for DVD output if required, or leave it this way as a digital file for editing. Our thanks to one of our customers who gave us permission to use his film and compare it to work they had done elsewhere. We take care and pay attention to detail. We cut out the stuff that nobody wants to keep; burnt frames, leader film, black or white frames, bad joins, excessive camera shake all so as to make your film more watchable (please note we do not judge your film technique and always err on the side of leaving footage in where viewable). Is my film too old to be transferred? No not necessarily. Film is remarkably resilient but if in doubt or it is brittle or shrunken it should not be run through an old-fashioned projector or telecine (a lower quality way of transferring film). A projector will introduce heat through the projector lamp, and stress through the sprocket feed mechanism. We transfer your images without the use of hot lamps or feed stress and return your films in the same condition that you gave them to us. Whilst we do brush off excess dust and hair, rest assured that we do not apply any liquids or solvents to your film as this only speeds its deterioration. 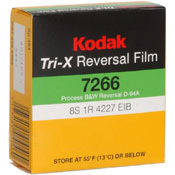 Even if your film smells of vinegar and is in the early stages of vinegar syndrome, we can transfer it. Optional Film Restoration / Enhancement. What is it? We have transferred film for happy customers in over 40 countries. We have a quality that is unmatched in both standard definition and high definition. Most of our customers are already happy with our standard transfer however; we have not stopped there. We have developed a technique to push our quality even higher one that actually cleans up single frame blemishes and scratches and uses cumulative information from adjacent frames to enhance details, colour and contrast. This is an additional service on top of our standard service. Whilst it cannot eliminate all flaws (or poor film technique, focus, under/over exposure, colour fade etc.) it will substantially improve most films. Beware when most people on the Internet use the term FILM RESTORATION, we find that all they are talking about is transferring footage from film to a digital media, (and usually not very well). Instead, of actual film restoration, what they are talking about was restoring your ability to see the footage. At DVD Infinity we do actually make a difference. Here is an example of the differences between the initial scan and after our unique film restoration and enhancement process. The Deluxe is the ultimate DVD production from your old cinefilm (See film formats below). This package includes interactive animated menus and scene selection (just like a video store disc), chapter markers for each reel, themed backgrounds and a personalised DVD and cover using your photo and choice of title. Most film is silent so we do not add music unless you ask for it but we can for an additional cost. DVDs can also be created in PAL and NTSC for overseas friends at the same time. removal of extremely bad un-viewable footage, excessive camera shake etc. multiple discs in same set are numbered, volume 1, 2 etc. There is so much value in this package, do you think any other company can match it? This package has a special wedding themed design, a perfect choice for your wedding film, or an ideal anniversary gift. Note that this is usually for a short film so there is no DVD menu as in our Deluxe Film Transfer but the processing stays the same. This is for those who want to preserve their film in High Definition (1080p). It uses the same processing as the Deluxe and packaged with proper Blu-ray cover although without a menu for the time being. Don’t want a DVD/Blu-ray? We can output in other formats to suit you such as, editable files AVI, QuickTime or compressed to MPEG4 (and many more) on your hard drive. Call us to discuss. Please note, you can have both DVDs and digital file packages at the same time for an additional cost. output to a hard drive (Mac or PC), USB thumb drive, DVD data disc, etc. Here are some tips to the various output file formats. AVI or MOV / QuickTime files are very popular for editing but very large (you need to have the software and time to edit of course). MPEG4 is compact, user friendly for your iPad, Android devices, and can even be played directly on late model smart TVs. They can be easily uploaded to YouTube to share with family and friends, also an excellent choice to store in your local network (NAS) and viewable anytime in your house via smart TV or network media player. We can of course provide any other professional formats on request. Apart from our standard services, we can do much more than you can imagine. Why not talk to us about your special needs? Below are two images from a customer's 8mm home movies. The first scanned by DVD Infinity the second by a company that tells its customers that it scans the footage the same as DVD Infinity. Both images have been taken from a final DVD that has been created by the respective companies. No alteration has been made to either image. There is a huge difference in the quality of cinema film transfers. Most "so called" professionals project the home movies using a projector or telecine onto a wall, mirror, screen, or directly to a video camera and then refilm it with a camcorder. This is an extremely low quality amateur way of transferring your precious memories. It will severely reduce the quality of your treasured film resulting in lost colour, contrast and detail. It normally introduces unnecessary flicker (unless colour and detail are further degraded) as well as introducing hot spots, where whites become overexposed and flare, and streaks and blur where the camera films a moving frame. 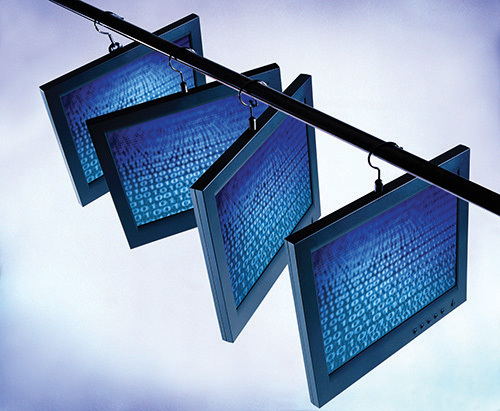 Beware as many unscrupulous operators are starting to state they are scanning or transferring frame by frame when in fact they are just using a telecine projector to project and refilm it. Wherever you see the word telecine or camera or synchronising the film speed to the shutter speed of the CCD to eliminate film flicker, think lower quality. Also, be wary if the operator only offers to transfer 8mm and 16mm film. They will not have the knowledge or experience to properly handle your precious films. If you're not sure, please contact us. If you see someone who advertises something like super fast turnaround time beware. True frame by frame scanning is a very slow process. It normally takes 20 times real time just to transfer the footage across. So if you have a few 400ft reels and someone suggests that they can turn it around in a day they are not scanning the film across. If you see the words real time then this is a projection system. We find more and more people copying information from our website but still nobody who comes close to our quality. Always ask where the samples are. Many people make claims that they offer the same as us. We provide samples and images on our website. Always ask for proof when someone claims they can do what DVD Infinity does. Many operators using American equipment can only capture in NTSC standard (640 x 480 pixels) and then convert the images to PAL (720 x 576 pixels). This means that at best they capture to 640 x 480 pixels and then try and upsize to 720 x 576 pixels. Once you have lost 25% of the quality it is just not possible to get it back. One scam that we have seen is one man in the USA who claims to be high speed scanning 2 complete frames for each frame of video, when he is in fact using a miniDV video camera and filming. Beware that you are not getting what you are paying for. By filming (not scanning) two complete frames of NTSC video for each frame of film, he will actually slow the film down so that it is unnaturally slow (NTSC normally has 29.97fps, film runs at 18 or 24 fps 18 x 2 or 24 x 2 does not give 29.97 fps). Furthermore, many use consumer grade DVD recorders rather than using professional DVD authoring equipment, resulting in further degradation. There is a guy in the UK who states "We have been converting cine films from all over the world 'frame by frame' since 1984". This is quite incredible as the technology that made it possible was not available until early this decade. He says elsewhere "By using only top of the range high end digital equipment to scan your films 'frame by frame'. Again, sadly, he is shooting with a digital camera. There is a company in the USA that claims to "virtually" eliminate flicker and claims they are confident that they are the best in the world. Because DVD Infinity scans each frame across we do not have synchronisation problems. DVD Infinity completely eliminates projector flicker (in fact we don't introduce it) and we are the best in the world. There is a guy in Australia who claims to have "high quality, frame based, ... conversion to DVD" for 8mm film. In this instance, frame based, hardware corrected refers to a telecine device. The film is not scanned across and the quality is hence lacking. Another US group talks about specializing in WETGATE frame-by-frame transfer and then explains that they use a modified telecine projector and a camera to shoot the images. They later go on to tell everyone that they are not as good as a Rank transfer. Sadly, this is obviously another low end transfer. Another group claims "With 25 years experience ... We have transferred 9.5mm films dated from 1898..." This is very interesting as 9.5mm films were first made in 1922.